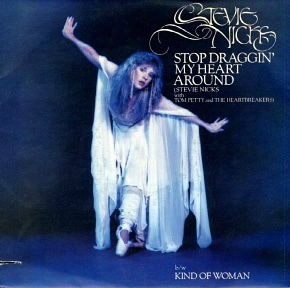 As a solo artist, Stevie Nicks was not overly successful with her singles releases her in the UK. In fact, her only chart hit was in 1989 with Rooms On Fire which reached #16. However, her albums have been much more successful, with all of them breaking into the Top 30 album charts, apart from Trouble In Shangri-La which peaked at #43 in 2001. What a quality tune this is! Sadly, we didn't get to hear much of it here in Great Britain as it wasn't a major hit, peaking at #50, but the song reached #3 in the U.S. and #5 in Canada. Released on July 8th 1981, this track was the lead single from the American singer/songwriter's debut solo album Bella Donna. 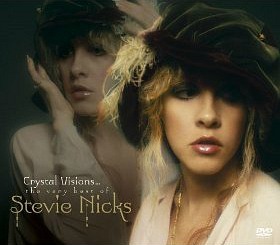 The video is a bit unimaginative, though, and simply features Stevie performing the song with Tom Petty And The Heartbreakers. 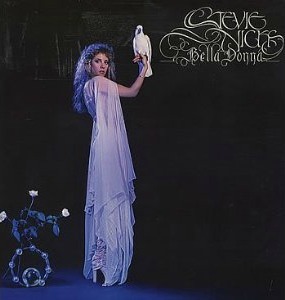 Written by Stevie herself, this was the second single to be released from Bella Donna, reaching #6 in the U.S. She released the single as a duet with the founding member of The Eagles, Don Henley, although he doesn't appear in the video clip which features a live performance. Sadly, there are no details of when and where this clip is from, but perhaps someone may be able to let us know using the comments box near the bottom of this page. In the playlist at the top of the page you'll find the official video of a live performance from Chicago, and I love the opening guitar work - simply awesome! Released in February 1982, this was the third single to be lifted from Bella Donna and reached #11 in the U.S. The B-side featured an edited live version of the song. 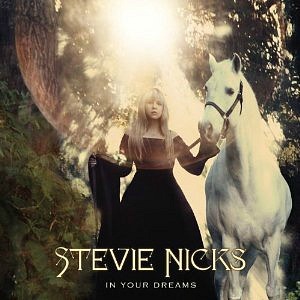 Released in 2011, this was the first album of new material by Nicks in a decade. Featuring her distinctive, warbling voice, and a polished production by Dave Stewart (Eurythmics) and Glen Ballard, the album received mostly critical acclaim, with some crtitics describing it as her best solo work yet!